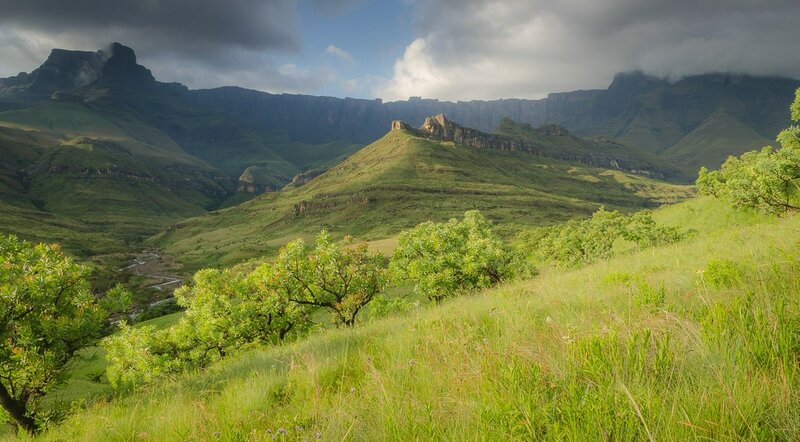 A half an hour drive from the Golden Gate is Royal Natal National Park, which is famous for its stunning amphitheater. There is very little that can be more impressive than the amphitheater. This vertical wall of basalt is almost a kilometer high and over 5 kilometers long. The Thendele Camp has a view of this spectacular amphitheater. For people who like beatiful views of the mountains, and especially for walkers, Royal Natal National Park is paradise. 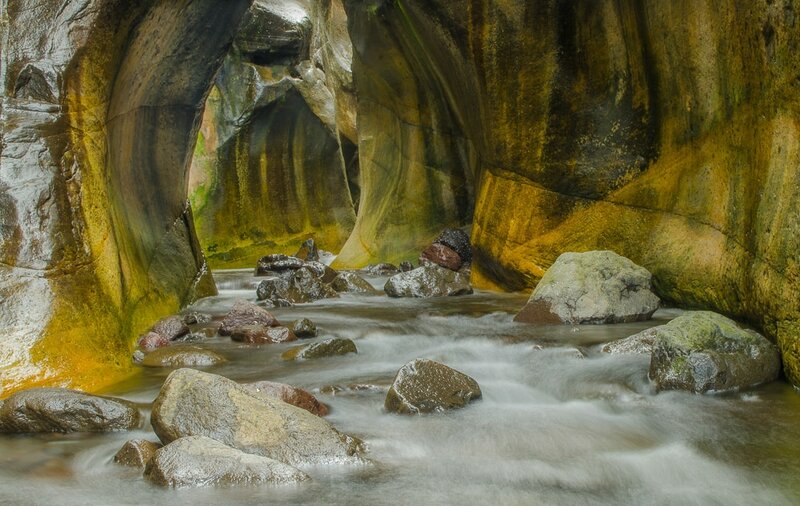 There are more than 22 hikes ranging in difficulty and distance, so there is something for everyone. The shortest walk is a 2 kilometers round trip, and the longest 45 kilometers. ​Thendele Camp is within the Royal Natal National Park. All chalets have spectacular views of the world famous amphitheater. 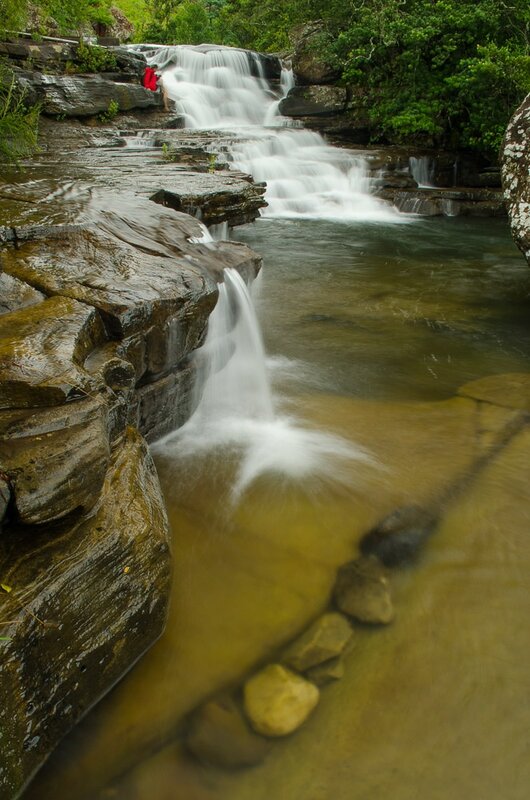 During your stay you will often hear the rumble of boulders in the Tugela river below. 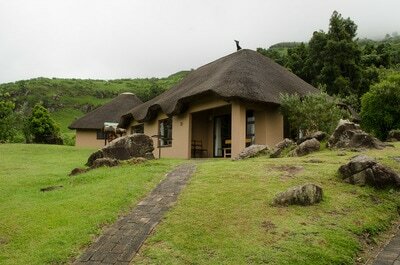 Thendele Camp is split into an upper and lower section, and has 26 self catering chalets. All of the chalets have en-suite bathrooms and a fully equipped kitchen. Thendele Camp has a well stocked supermarket that has curios, basic groceries and supplies. There is no restaurant at Thendele Camp. Children of all ages are welcome at Tendele Camp.